What makes an exceptional design and building experience? A fully integrated process that anticipates challenges, brings clarity to complexity, and provides for seamless communication among all team members. A collaborative approach that keeps clients informed, engaged and excited at every step. A single, responsive, and creative design and construction team dedicated to realizing a unified vision: yours. PSD provides a turn-key approach that seamlessly connects architecture and construction, ensuring single-source accountability and creative continuity from inception to completion. Every phase of the project is lead by PSD’s seasoned team ensuring quality, schedule and cost control that elevates the beauty and integrity of the finished result. From site selection to architectural design to building construction and detailed handwork, PSD shepherds every project via a carefully coordinated process that allows for continuous engagement and collaboration between the project team and the client. We emphasize clear, direct communication to keep clients engaged and excited, alert them as decisions are needed, and share progress at every step. 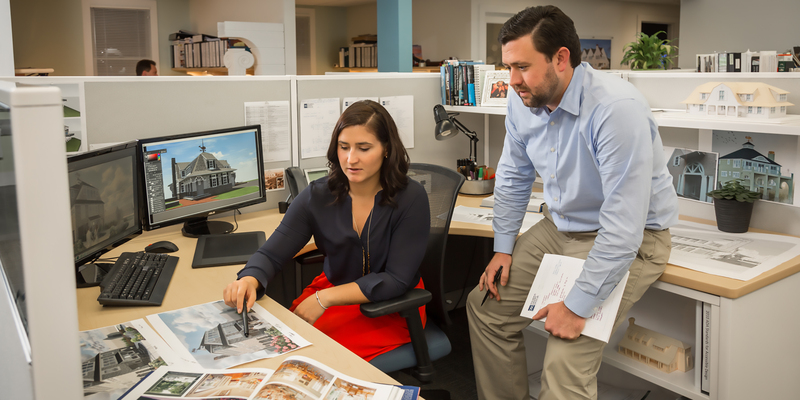 Our multi-disciplinary in-house team consists of full-time licensed architects, landscape architects and contractors, as well as construction managers, cost estimators, and master craftspeople. Our clients also benefit from our long-standing relationships with highly skilled trade partners and knowledgeable professionals that share our commitment to quality workmanship and exceptional service.